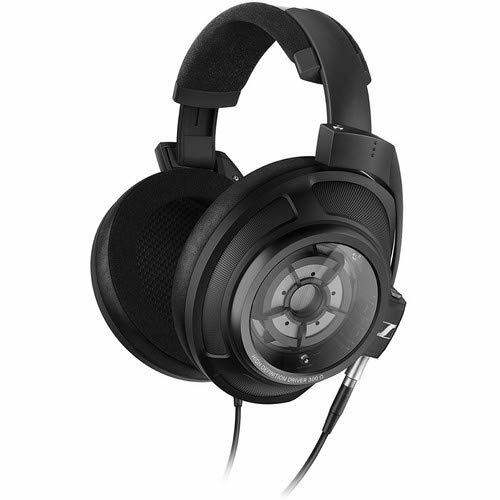 Closed-back dynamic headphones are extremely popular in the professional world. Studios, field recordists, video production, and electronic news gathering teams use them exclusively to monitor sound, because any kind of open-backed design would leak sound into the recording itself. Nevertheless, this creates its own price ceiling (Sennheiser’s own HD 25 series are a popular choice among the field recorder and video production set, because they are small, light, rugged… and cost about one-eighth the price of a pair of HD 820’s). Perhaps surprisingly, glass is the main way of stopping the leak from the HD 800 and HD 800 S. Equally surprisingly… it works! ► diaphragm, so no back radiation can spill out into the real world. Perhaps surprisingly, glass is the main way of stopping the leak of the HD 800 and HD 800 S. Equally surprisingly… it works! Of course, changing the system from open to closed back does require some extensive redesign and testing, if for no other reason than the addition of a piece of glass to seal the case completely changes the pressure loading of the diaphragm (the older models expect to see a free space rear excursion, and by simply covering that diaphragm with your hand, you can hear how the pressure changes from you cupping the driver alters the sound. That means quite extensive chages to the internal layout, although the exact nature of the changes is not disclosed by Sennheiser. Perhaps even more than the HD 800 and HD 800 S, the HD 820 demands a good DAC/amp to deliver the sonic goods. And with the HDV 820 (which we tested alongside the HD 800 S in issue 157) Sennheiser has just that: a refined, yet powerful headphone amplifier with built-in DAC designed specifically for the HD 800 range. The HD 820 took longer than its stable-mates to run in, but in fairness the model I received was new in the box and others had been around the block a few times before they came to me. But either way, we aren’t talking months of running in to get everything ship-shape, and it sounds pretty good out of the box, and fantastic a week or so later. 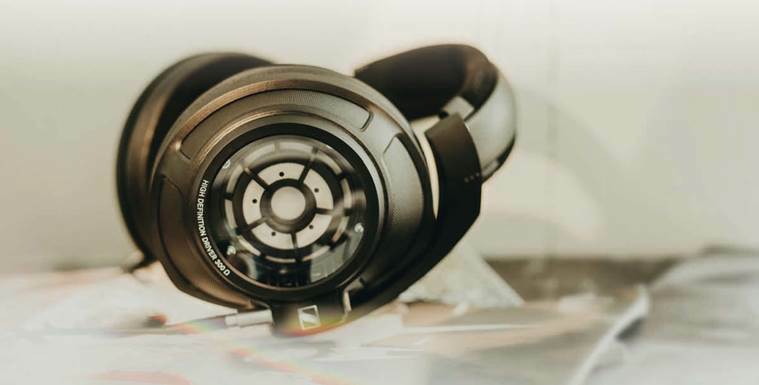 The HDV 820 is why the HD 820 comes with a specially tuned symmetrical, impedance-matching cable with low capacitance and a balanced 4.4 mm gold plug. It’s geared for demanding home use, not drowning out the sound of commuters. For that, you have the HD-25 and it’s more-than- pro following. There are in effect two related tests here. Does the HD 820 really achieve the goal of putting the HD 800 in a closed-back design, and if it doesn’t how close does the sound get? If the apple falls far from the tree, is it an 800 in name only? There is a freedom and, well, openness to the sound of the HD 820 that belies its closed-back standing. ► sound, without too much over-enthusiastic energy. But, in almost every way it achieves the near-impossible: open- backed sound from a closed-back headphone design. The test of this is a close-knit string quartet, such as the Takacs Quartet playing Beethoven’s later quartets [Decca]. Those who think string quartets are genteel affairs are wise not to follow my lead and buy these discs, because they are anything but genteel. But a good pair of open-backed headphones will project the sound out into the seeming real world, where a pair of closed-backs place the musicians more inside your head. 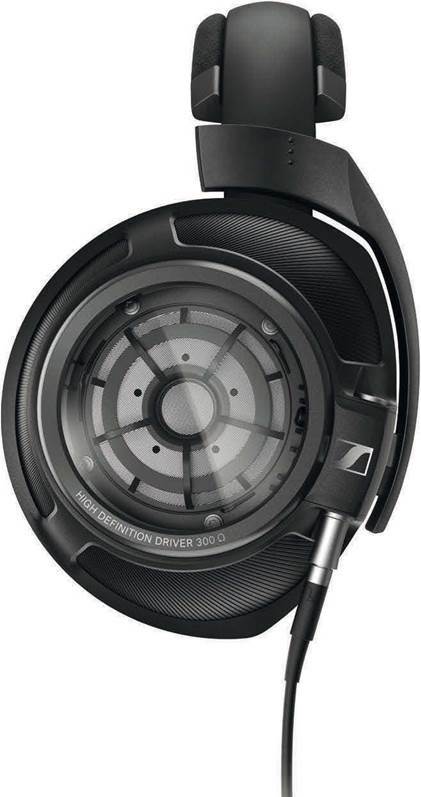 In the case of the HD 820 though, those musicians are out in the open. There is a freedom and, well, openness to the sound of the HD 820 that belies its closed-back standing. It doesn’t force a lateralisation of the sound like many closed-back models and instead just sounds more like an open design. Is that open-backed design really an HD 800? Mostly, yes. It’s got that extraordinary detail level that all three models in the range do so well. It’s got that honest-to-a-fault transparency, and in terms of dynamic range, if anything it outshines the previous models. The intimacy of the HD 820 is uppermost. It’s a very real experience listening to music through these headphones. Play ‘Wild Horses’ by the Rolling Stones on Stripped [Virgin] and you suddenly grow a bandana. That sort of visceral. And yet… it’s still a closed-back model and you can never fully shift that. The sound is a little more constrained, a bit more sinewy and muscular sounding in the upper mids. These aren’t big changes to the sound of the 800 series, but just the bits where you can’t cheat physics. Sennheiser gets pretty close to cheating physics here, but even the best closed back design is not an open design, and if you listen hard enough (especially if you have one of the open-back HD 800 models to compare) you can just hear where the closed-back sound kicks in. 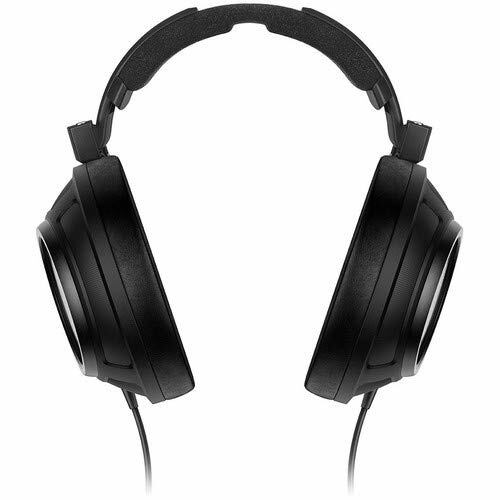 some of whom are quite taken with the idea of trying out a pair of two grand headphones, and all of whom seem to have slimmer heads than most people. For me… “Wow! The bass on these things is incredible.” For them… “The bass? It’s OK I guess. Nothing to write home about.” I think the seal of those ear cups is crucial and if you don’t (or, for head-shape issues, can’t) then you still get the outstanding midrange and treble, but the bass is only ‘pretty good!’ Unlike the HD 800 and HD 800 S, where the ear-cup could feel quite encompassing on the wrong head, this probably makes tonal differences. These could be resolved by swapping the stock earcups for stiffer leather or pleather designs. 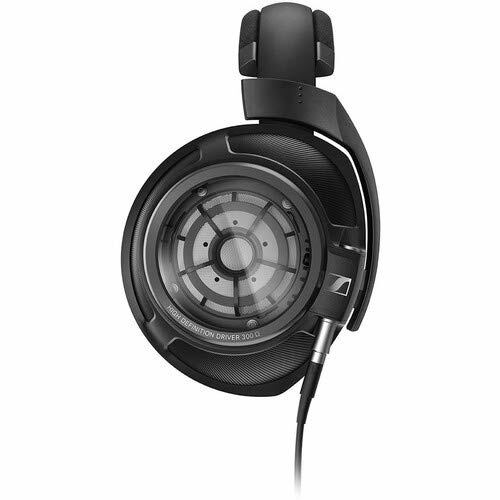 This is only going to effect a small percentage of the prospective market for the Sennheiser HD 820. The rest are people who want an absolute top-flight open-backed headphone and ran into a shared living space issue. You can’t listen to HD 800 in the same room as someone else because they pump so much sound into the room, it’s like having a pair of small speakers tied to your ears. Sennheiser’s HD 820 gives you a surprising amount of the HD 800 S sound, but without all the leaking. You can listen to the BBC Proms with all the detail and edge-of-the-seat excitement they bring, all the while sitting next to someone quietly knitting and watching Midsomer Murders on TV.